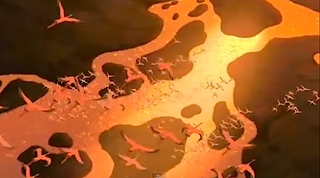 1) the stunning opening sequence will give you goose bumps, starting with exotic bird sounds, a distant roar behind the studio logo (even though it’s not MGM) then a dramatic drum beat echoing into silence over the title and the thrilling “Circle of Life” number with its swooping camera moves, focus-racking from ants to zebras and the breathtaking flying shots of three layers of flamingos flying over a sunlit river. 2) Hans Zimmer won an Oscar for the music and Elton John’s career was resurrected by the wonderful songs he and Tim Rice wrote for this film: “I Just Can't Wait to be King”, “Hakuna matata”, “Can You Feel the Love Tonight?” all make you want to dance, swoon and sing along, what could be better? 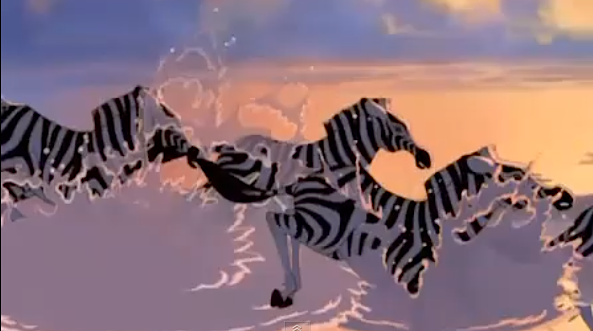 3) Chris Sanders’ production number for the song “I Just Can't Wait to be King”, is so beautifully designed, edited, colorful and exuberant you just want to be king. Or queen. Or both. 4) The sensational slow-motion lion fight set against a fire. 5) The acting done by the animators is remarkable. 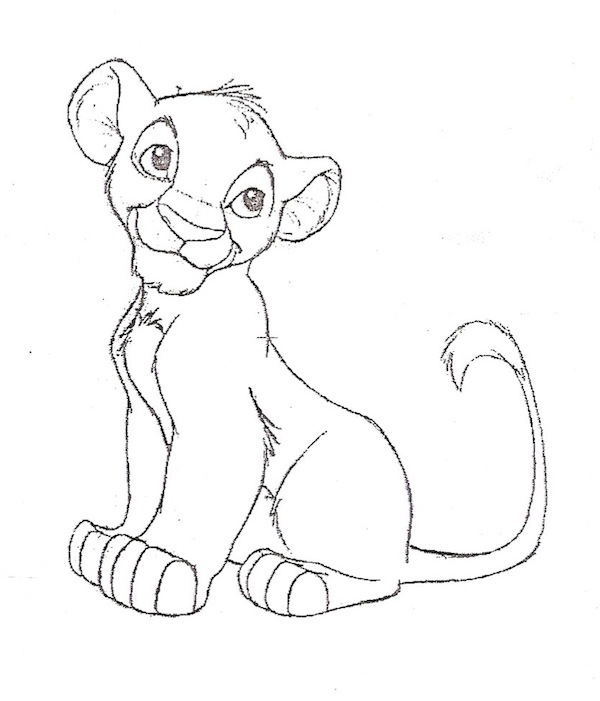 Marvel at Simba’s personality successfully making the transition from cub to adolescent to adulthood, and the impressive feline movements in the animation, so realistic you feel the bones, the fur and the sinewy weight of the animals. 6) Instead of a solid wall of loudness, LION KING has peaks and valleys of sound, from delicate bird twittering, to soulful chats about the stars, to thundering lion roars, to rousing music and it allows us time to savor the differences. 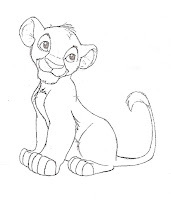 8) Astonishingly, 29 writers are credited as having participated in the writing of LION KING, including directors Gary Trousdale, Chris Sanders, Kirk Wise, artists Ed Gombert and Andy Gaskill and animator Tom Sito. It’s a very dense film, bristling with one-liners, gags, inside jokes, puns, wise-cracks, drama, even death and sadness, all held together with a rare overall joyful exuberance. How is it possible that so many writers could have produced such a happy, coherent film? Usually multiple writers make a terrible mess, but this not only works, but works sublimely. “Hamlet with lions”, was the famous pitch for this movie, the original treatment, inspired by Hamlet, having been written by Thomas Disch in late 1988. But, as his treatment was written as work-for-hire, Disch received no credit or royalties. A crying shame, considering the twenty-nine other "writers" who did get credit and royalties based in his original idea; it’s so easy to build on a good idea. How hard would it have been to give him an "inspired by" or a "suggested by" credit? 9) Surely it was the directors, Roger Allers and Rob Minkoff, who brought out the best in all these disparate people, put it all together with talent, enthusiasm, a clear vision, some voodoo and quite a bit of luck? 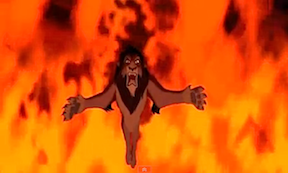 A surprising fact is that LION KING was made in a warehouse in Glendale, not at the Disney studios in Burbank, the animation department having been kicked out of their offices and threatened with extinction by Michael Eisner in 1988 and only returned to the main studio after the success of THE LION KING. Watch THE LION KING and see what makes it magic for you. What a great writeup! I actually took it with me to watch AGAIN on the plane haha! I'm glad you liked the viewing party... we'll have another one the moment I get back. I'm glad you enjoyed the post, I loved writing it. Hard to write about something thrilling and delightful without raving incoherently. Thank goodness for pictures. Look forward to the next party.